Here I go again, with another book review on my blog page. But, I have a really good reason for putting this one here. I am taking part in a new venture. Katie Davis wrote a book called LITTLE CHICKEN'S BIG CHRISTMAS, as a companion book to her previous title, LITTLE CHICKEN'S BIG DAY. The first book had been published traditionally by S&S. But, she wanted to do something different with this second book. She decided to go the "indie" (or independent) route. In order to get the word out about the book, she invited people to become part of her Launch Team. Those who volunteered (like myself) were able download an advanced copy of the book. Then, we were supposed to write a review and post it on the Web. So far I've posted this review on Amazon.com and added a link to it through my Facebook page and then mentioned it on Twitter. Now, I'm adding it to my blog. Why am I doing all this? you might ask. Well, partly to help Katie out. And, partly to be a part of a new venture. And, I'll admit it, partly to give me a chance to win some cool prizes. I have had the distinct pleasure to review an advanced copy of Katie Davis’ newest e-book, LITTLE CHICKEN’S BIG CHRISTMAS, which will be released the week of Thanksgiving. This book, like her previous title, LITTLE CHICKEN’S BIG DAY, features Little Chicken. Up until the big day, the reply is, “Not yet, Little Chicken.” But, there are many things to do to keep Little Chicken occupied while he waits like visiting Santa, going shopping, decorating the house, and wrapping presents. This is a picture book with very few words. The illustrations, which are bright and bold, convey the story perfectly. This is a story both children and parents will enjoy. I laughed out loud at the last line in the book. I’m sure you will, too. PS: Here's a link to the book trailer on YouTube. PSS: Here's a link to the companion book, LITTLE CHICKEN'S BIG CHRISTMAS activity book, filled with 100 pages of stories and fun. Get your copy today! I recently finished reading this book. I had heard about Malala, but I wanted to read more about her. I'm glad I did. This is truly an inspiring story, one I think everyone should read. This is not the spot in my blog where I usually post book reviews. But, Malala's story was so compelling, I wanted to share the review in the "Blog" section of my website. When this post gets buried under newer posts, you will still be able to read the full review by clicking on the "Book Reviews" icon at the top of this page. This book is about Malala Yousafzai, as the title says, she is “the girl who stood up for education and was shot by the Taliban.” The story was written by Malala with the help of Christina Lamb. This is Malala’s biography, a brief one to be sure, but one that is unprecedented in terms of all that she has seen and experienced in her young life. You’ve probably heard of Malala. She’s a Muslim girl who was born in the Swat Valley in Pakistan. Being born into a Muslim family generally means that a female life is not highly valued. But, Malala’s father does not think like other Muslims. Her father is a teacher, and he has always instilled in her a belief that everyone is entitled to an education, including girls. When the Taliban took control of her valley, Malala was furious. The Taliban insisted that any school that taught girls should be shut down. Since her father ran the school she attended, she continued going to school and became very vocal, speaking out against the Taliban, even when her life was threatened. On October 9, 2012, Malala was shot in the head, at point-blank range, by a member of the Taliban. She was fifteen years old at the time. Three bullets were fired at her, but only one hit her. The other two struck two of her friends. They were not seriously wounded, but Malala nearly lost her life. The would caused her blindness in her left eye, and the left side of her face is not quite fully functional. But, she is alive and she is still speaking out against the Taliban and anyone who says girls should not be educated. "So here I stand... one girl among many. I speak – not for myself, but for all girls and boys. I raise up my voice – not so that I can shout, but so that those without a voice can be heard. Those who have fought for their rights: Their right to live in peace. Their right to be treated with dignity. Their right to equality of opportunity. Their right to be educated." visit your blog. It works like this: One person puts an article on their blog answering questions about themselves. The questions might be: Who is your favorite author? What do you write, fiction or nonfiction? Have you even been published? At the end of their blog, they will have a list of three names with links to those blogs. 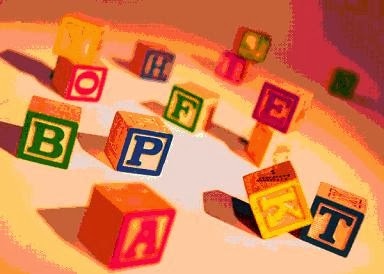 After you've read the host's blog, you "hop" over to the first name on the list and read their blog, then you "hop" on to the next name on the list, and again onto the third one. Each one in turn will have three names at the end of their blogs. Then, you can "hop" to those blogs, as well, as keep on going as long as you like. It's a great way to learn about other people with the same interests (in this case, I'm referring to writers sharing their blogs) as well as a great way to get other people to visit your blog. I've participated in two different types of blog hops (one of which was called a follow fest, but it's the same type of thing, and both were fun. 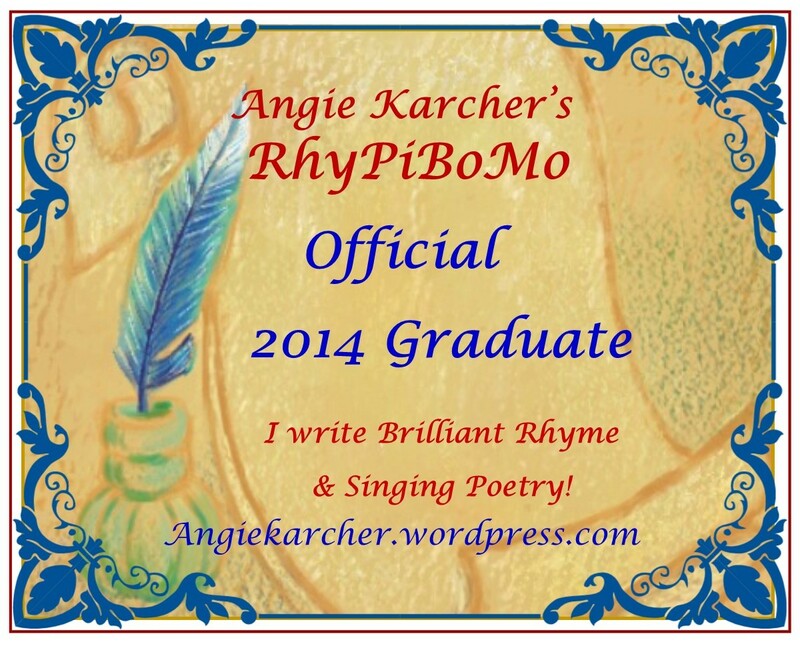 Here are the links to my blogs: Blog Hop and Follow Fest. Pitchfest - In this context, a pitch is a very short description of a story you've written. A longer description of a story is called a synopsis, but a very short one is a pitch. You write a short description to pitch your idea to an editor or an agent in an effort to get them interested in reading more. Pitches can very in length. Some I've written were only as long as a tweet (a term used with the program called "Twitter"), which can't be more than 140 characters (including spaces and the "hashtag"), making it very short indeed. Other pitches were up to 35 words, which still isn't very long. These pitches were sent via email, rather than through Twitter. 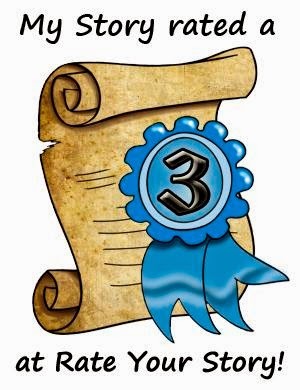 A pitchfest then, is a time frame set aside (a few hours or a day or two) when writes can pitch their ideas to editors/agents in a festive atmosphere (sometimes prizes are given out to participants), hence the term. 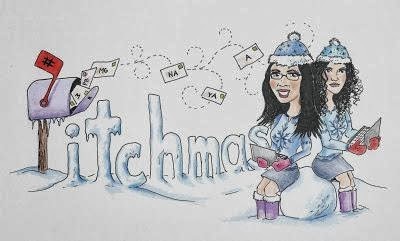 PitchMAS - PitchMAS is a type of pitchfest that takes place in both July and December. The first PitchMAS took place in December, the month of Christmas, hence the term PitchMAS. Now it is held in both December and July. Here's a link where you can get more information about this year's December event: PitchMAS 2013. MoP stands for Month of Poetry. According to the website, MoP is "a personal challenge to write one poem every day for the month of January." It's not a competition and there are no judges. You can write what you want. The idea is to inspire you to write poetry as well as to learn more about the art of writing poetry. If your interest lies in writing poetry, or if you'd just like to give it a try, you can get more information by clicking on the above link. 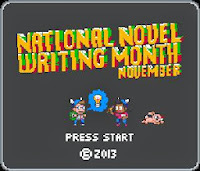 NaNoWriMo stands for National Novel Writing Month. According to the website, "NaNoWriMo is an annual (November) novel writing project that brings together professional and amateur writers from all over the world. During NaNoWriMo, you write 50,000 words in the 30 days of November. The challenge may be hard, but the logistics are not! Here, let us guide you through ‘em." 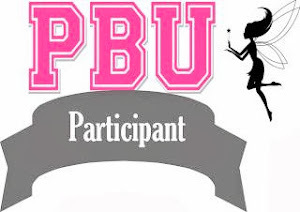 The event is FREE and you can win prizes for participating (in addition to being motivated to write a novel in 30 days! Find out more about it by clicking on the above link. Paula Yoo hosts an event called NaPiBoWriWee, NationalPicture Book Writing Week. Participants are challenged to write a complete picture book draft each day of the week. Writers are encouraged to brainstorm ideas, do research, take notes, and even outline the books ahead of time, but the actual writing is to take place during the week. You can find out more about this challenge by visiting her website. PiBoIdMo stands for Picture Book Idea Month. PiBoIdMo is similar to NaNoWriMo. Both take place in November, both offer prizes for participation, and both are great motivators if you're a writer, but there are some differences between the two. 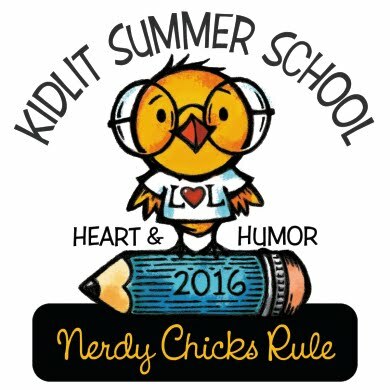 First, the event is for picture books, not for novels. Second, the idea is to come up with 30 different ideas for picture books during the 30 days in November. Also, you don't have to write a complete picture book, you just need to come up with 30 different ideas for pictures books. These can be titles, names of characters, simple plots, etc. Then, when the event is over, you will have a list of 30 picture book ideas to work on. Again, click on the above link to find out more about the event. ReviMo stands for Revise More. The main idea behind it is for writers to take a week of their time (January 12-18, 2014) and revise manuscripts that they have already written. You can read more about it by clicking on the above link. 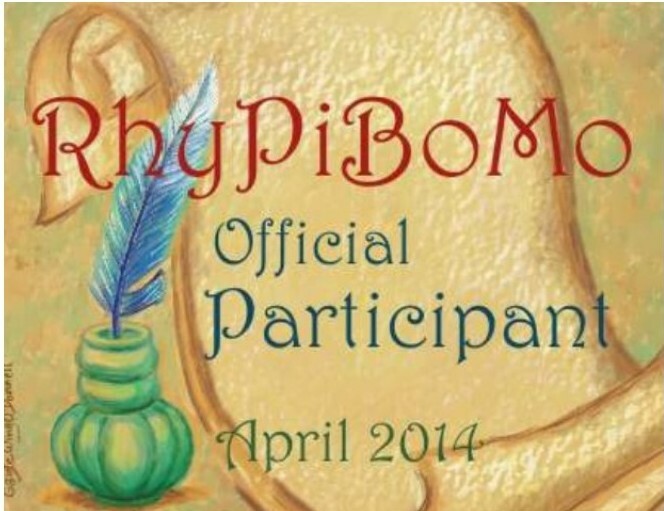 Angie Karcher hosts an annual event called RhyPiBoMo which means Rhyming Picture Book Month. In You can find more info at her website. her own words she explains her Mission Statement: "My goal is to guide those aspiring to write rhyme and poetry through the process of learning the craft and offering resources, short lessons, writing prompts and the wisdom of experienced folks in the business to improve the quality of rhyme and poetry for children. Participants will need to reference a different rhyming picture book for each day of the month and make notes on them throughout the month. SkADaMo stands for Sketch A Day Month. Like both PiBoIdMo and NaNoWriMo, SkADaMo takes place during the month of November. This event is for illustrators. Find out more about it by clicking on the above link.